So you are coming to Ketchikan, Alaska, a temperate rainforest nestled deep in the Tongass National Forest. This exclusive travel destination is the “Salmon Capital of the World”, where all five species of Pacific Salmon share the same waters. Here in this remote backdrop, Chasin’ Tail Charters proudly curates an unrivaled Alaskan salmon fishing & sightseeing experience. Your Charter Guide — Captain Nick — is a 3rd generation fisherman that has logged countless successful expeditions in Alaskan waters. Prepare for the ultimate sportfishing adventure exploring this vast, secluded paradise. Hooking a wild Alaskan salmon is exhilarating – these are a powerful and acrobatic breed of fish — and the battle is nothing less than a test of wills. Chasin’ Tail Charters gives you the edge with best-in-class sportsfishing equipment and personal one-on-one training — win the day and seize the catch of a lifetime! Safety is always our top priority — our charter fishing excursion in Ketchikan provides an informative safety briefing prior to departure on every trip. Our 28ft North River custom charter boat is configured with state-of-the-art onboard electronics and is Coast Guard inspected as part of our commitment to performance and safety. Captain Nick’s unmatched local fishing expertise and passionate guest support collide to deliver a world-class experience that have our guests coming back year after year. 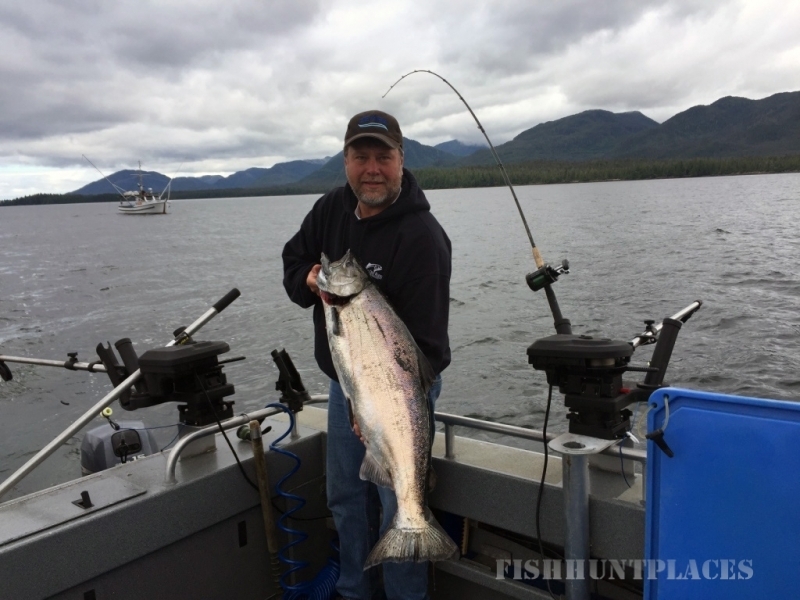 For the best in Alaskan sportfishing adventures, choose Chasin’ Tail Charters!